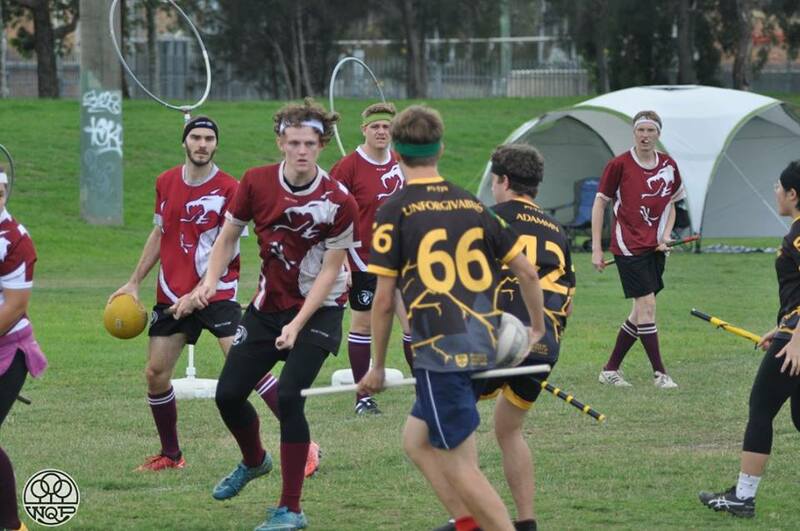 The New South Wales Quidditch League, known as NQL, is underway for 2018, with eleven teams descending on Kayess Park on March 10th. Whilst only pre-season matches, and thus not counted towards NQL standings, plenty of teams made an effort to show the rest of the state what they were made of. The biggest winners on the day were the Sydney City Serpents, Western Sydney Spartans (WSQC), and the University of Sydney Unspeakables, all going undefeated, while plenty of other teams impressed and showed they will have a strong year ahead. Of the eleven teams there, the most surprising was the much anticipated return of the Wollongong Warriors. After being inactive for more than a year, Wollongong roared back to life with squad of sixteen players, many of them new to the sport. 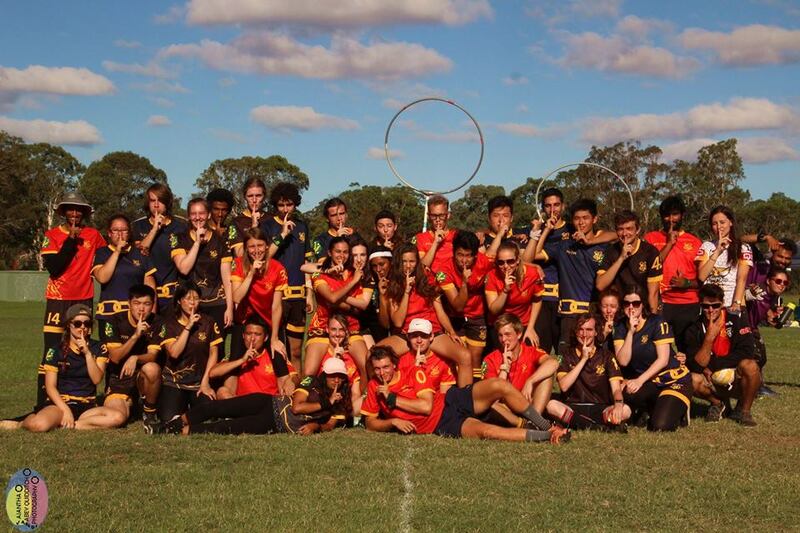 Club President Portia Sheeran was thrilled; telling QA Today that “playing as the Wollongong Warriors after working with the MacArthur Weasleys last year has been so liberating! Going from five players to 20 has demonstrated the popularity that Quidditch is gaining and that forcing your friends to join actually works!” She added that “The team executives, the only original 5 players, are completely stoked to be back in black (and orange)”, and have more recruits turning up to the next NQL round. Wollongong weren’t the only strong recruiters, with plenty of teams showing off nearly-full rosters. The UNSW Snapes on a Plane brought several new faces along, and combined with the newly established South West Horntails to almost have a full squad. UNSW veteran Philip Hamilton told QA Today that their new players were “Rather exceptional for people who had never played before”; an encouraging sign for a club rebuilding. The ANU Owls were perhaps the best recruiters; not only did they have a full roster, but had enough spare players to offload to the University of Sydney. ANU ended up sending off some of their experienced players, and kept their new recruits so they could learn with the team – so the team’s single loss to the Serpents (90-60*) wasn’t quite the same team that went undefeated through pool play in last year’s NQL. If anything, such a close game with so many new players should be an ominous sign to the rest of the state. Speaking of the Serpents, they showed that even an influx of new players (to the team, not the sport) won’t be enough to throw them off their game; winning all four games out of snitch range. Missing two Dropbears from their squad in Natalie Astalosh and Raj Kapoor, and having another Dropbear in Luke Derrick play out of position as Keeper, did very little to dent the Serpent’s momentum. Last year’s state champions show every sign of leading the way again in 2018. 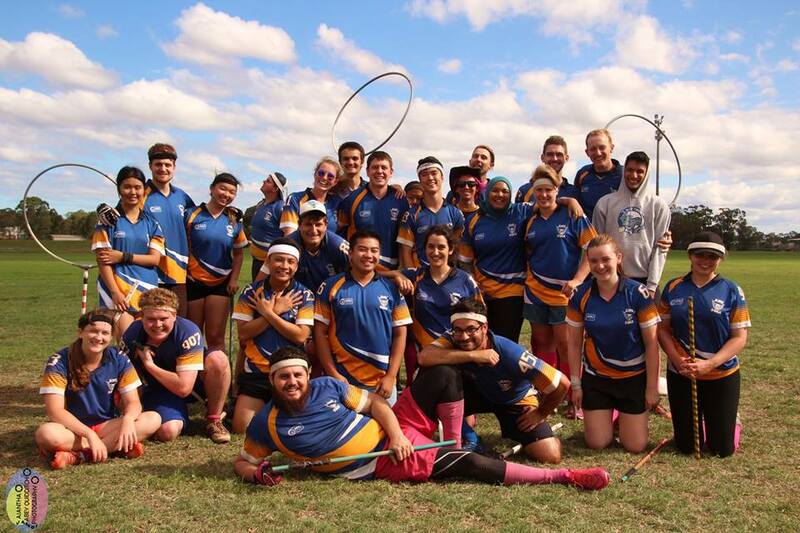 The tournament was also a very successful one for the entire University of Sydney Quidditch Club, with all three teams posting good results. 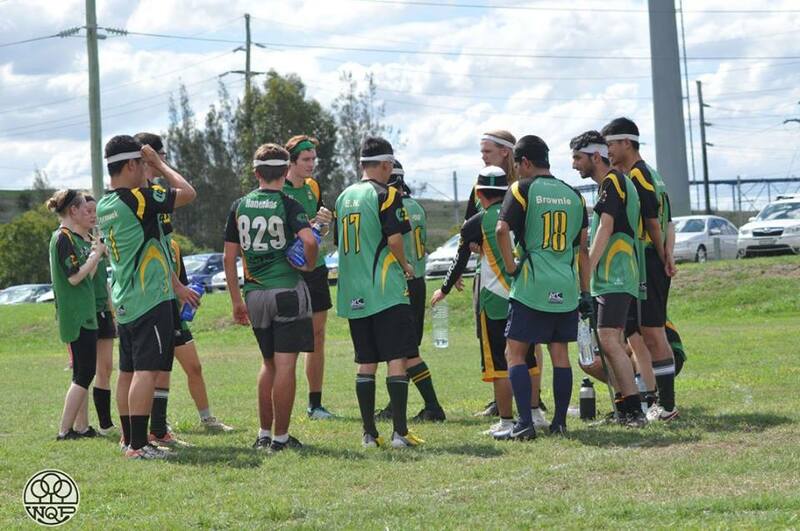 USyd reorganised their team structure over the summer break so that the Unbreakables would be a second-tier team and the Unforgiveables a third-tier team, rather than both being mixed second-tier teams, and it immediately paid dividends. The Unspeakables had three out-of-range wins despite an injury to Dropbear Brandon Frison. The Unbreakables played better than a 2-2 record would suggest; losing to the Serpents and WSQC, but handily beating UNSW and Wollongong, while catching the Snitch in all four games. The Unforgiveables also had a day to remember, teaming up with spare ANU players to win games against Macquarie and Newcastle, only losing to the Unspeakables themselves. USyd is yet to add their new recruits yet, who will have some experience from USyd’s new internal league before the next NQL. Expect all three teams to be genuine threats throughout the year. WSQC, historically known for smaller squads full of athletic players, boasted a full squad of twenty one that included USC chaser and Queensland’s only Dropbear, Simon Spann. Spann, playing with NSW teams as additional practice before the World Cup in Florence, was impressed by the quality of play on display, telling QA Today that “I always love watching titans like ANU and Serpents play”, and that “it was pretty amazing to see USyd Unforgiveables have those good wins”. He had only high praise for his WSQC teammates too, finding that “gelling with them was easy” as they are a “top-tier team”. WSQC probably won’t be able to count on Spann’s help throughout the year, but seeing as they dominated even without star Dropbear Keeper Miles Newtown and let Spann beat in some of their games, they’ll be a top team regardless. 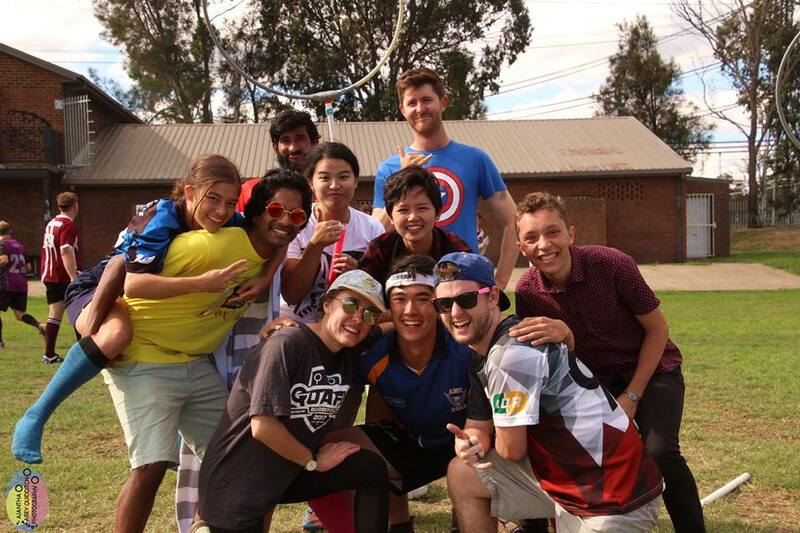 For the Macquarie Marauders, Newcastle Fireballs, and Macarthur Weasleys, the weekend was a great way to welcome their new players into the fold and show them what quidditch in NSW was really like. The Weasleys had by far the toughest schedule of the day, coming up against three of the top teams in WSQC, Serpents, and ANU. Newcastle managed a good win against Macquarie, while Macquarie themselves played a fantastic game against the Unforgiveables only to lose to a snitch catch. All three teams will be hoping to bounce back at the next NQL and be ready for the proper season. The event was considered a huge success by all involved; superbly hosted by the Macarthur Weasleys, it was consistently ahead of schedule and attendees were full of praise for the offerings at the canteen. QA President Luke Derrick was heartened by the growth of the game we’ve seen this year already, telling QA Today that “it was great to see that teams have committed to recruiting and managed to bring a lot of newer plays to the games… It’s great to see so many new people get involved in the sport”. Unfortunately, with the quick turn-around from their O-Week, there was not enough time for the UTS Opaleyes to form a team. UTS, along with new community teams South West Horntails and The Hills QC, will hopefully debut in 2018 at the next NQL pre-season round, hosted at Western Sydney on April 7th. Photo credit: Ajantha Abey Quidditch Photography, Willem de Gouw Quidditch Photography.